Dr Daniele Sgandurra received his PhD in Computer Science from the University of Pisa. He is currently Lecturer at the Information Security Group. 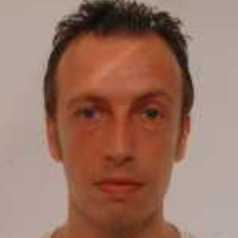 Daniele has been a visiting researcher at the security group at IBM Zurich Research Laboratory, by participating in the Phantom project (virtual machine introspection-based security). He was a PostDoc researcher at the Institute of Informatics and Telematics, National Research Council of Italy, where he has mainly worked in the field of mobile security, and a Research Associate at the Department of Computing, Imperial College London, focusing on threat modelling for Cloud environments and malware analysis. His research focuses on cybersecurity of systems, in particular operating systems/virtualisation, mobile and the Internet of Things (IoT).